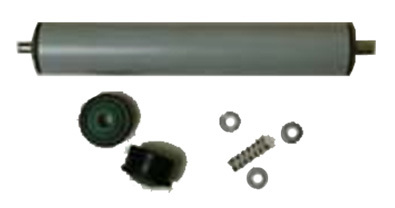 The rollers are usually needed for two reasons, either to build a conveyor, or to replace parts of a conveyor in use. In any case you must take the necessary dimensions to define the type of roller you have or need. Material and thickness of the roller. Load capacity per linear meter (indicating roller diameter and pitch between axis centers). Type of load (indicating type of load, max dimensions and contact surface load / rollers). Shaft width and axis machining type. Single or double serrated sprocket, different types of teeth and chain pitch For example Z11 or Z14 for 1/2 “chain. Type of roller coating: In polyurethane, rubber, PVC, galvanized … .. 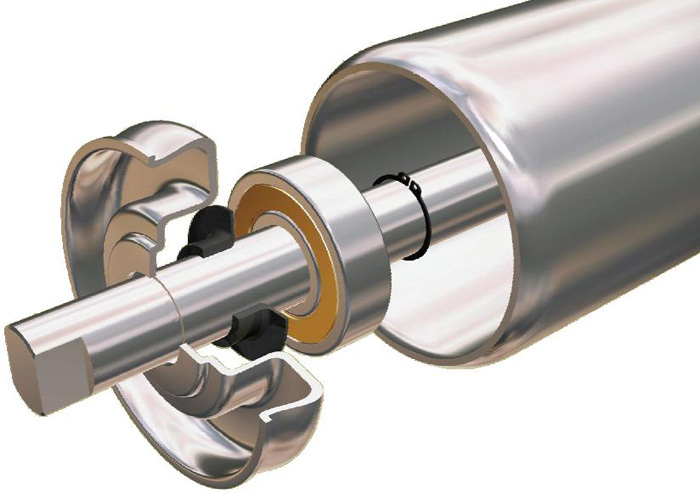 In the cases in which a roller with its integrated motor is sought, we speak of drum motors, when we speak of transport rollers we usually refer to a chain transmission system metallic cascade. For more information about conveyor rollers, do not hesitate to contact us indicating what you need. The gravity rollers are used in multiple applications both in conveyors and in other types of production machinery and line end. The rollers that we propose can be either standard range or manufactured according to your needs as long as the series you want to manufacture compensate the work to measure. For any questions about this product, please get in touch with us, we will be happy to advise you about the options available for each case. For more information, do not hesitate to contact us.